Seventy-five years ago this Fourth of July weekend, New York Yankees first baseman Lou Gehrig voluntarily bid farewell to the sport he loved. It took a progressive, incurable disease that now bears his name to break his streak of playing in 2,130 consecutive games. "Today I consider myself the luckiest man on the face of the earth," he told the overcapacity crowd that packed Yankee Stadium for Lou Gehrig Appreciation Day. "I may have been given a bad break, but I have an awful lot to live for." 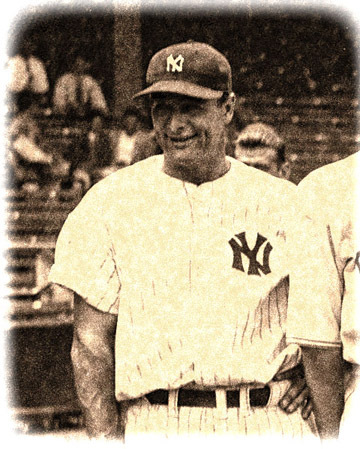 Specifically, Gehrig expressed his gratitude for the "kindness and encouragement" he received throughout his life from his family, teammates, and fans. Two years later, at age 37, he succumbed to ALS (amyotrophic lateral sclerosis). It remains incurable, just as Parkinson's does. Gehrig's legacy is much more than the sum of the statistics he amassed on the field. His inspiring approach to life, kind heart, modesty, courage, and winning attitude made him "an American hero" and a role model for all time, especially for those of us battling our own incurable disease.